Boys Bedroom: This 4-year-old's mom called me because although she is quite organized, she was out of ideas for what to do in her son's room. Now with this new piece of furniture complete with photo labels on the bins, this little guy will know where to put everything back. Both mom and son were excited with the results! Girl's Bedroom 1/3: This client was driven and focussed! I love the transformation of this adorable room! DTC Post Move Unpack: This client needed help with the final push to get unpacked and settled after her recent move. Bedroom Project 1/3: What a great surprise this was for my client's husband to come home to! My client and I sorted, purged and reorganized the dresser to fit everything. Bedroom Project 2/3: My client's bedroom is now much more calm and peaceful! Bedroom Project 3/3: And purge she did! 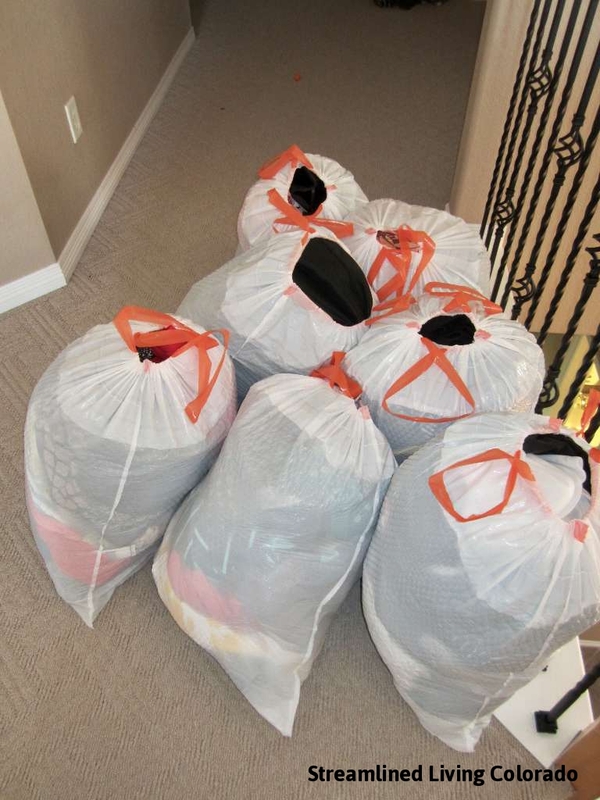 Streamlined Living dropped off these donations to a thrift store whose proceeds go to domestic violence shelters. We also take an inventory of donated items (if wanted) and then mail the client the donation receipt! A true win-win! Guest Room 1/2: This client called me in a panic because he was suddenly expecting house guests but hadn't yet unpacked or set up his guest room. We had a limited amount of time but both he and I were happy with the large amount of progress made in a short amount of time! Basement Guest Room 1/3: Aside from the clean laundry on the bed, this room is ready for guests again! Guest Bedroom 1/2: Together with the client, we decluttered and rearranged the furniture in this room so better accommodate guests! Post Move Bedroom 1/3: This post move organize was a very gratifying project! 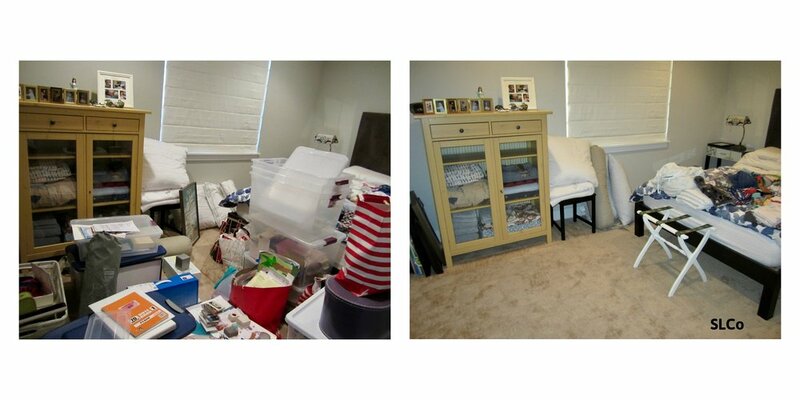 Girl's Bedroom 1/2: This client was out of ideas on how to organize in her daughter's room. At the client's request, Streamlined Living completed an assessment of the space, took measurements and followed up with an email full of ideas and solutions on how to best use the space. Girl's Bedroom 2/2: Now that there are more places to store things, this little girl's room is more functional! Guest room 1/2: Now this guest room is cozy and inviting! 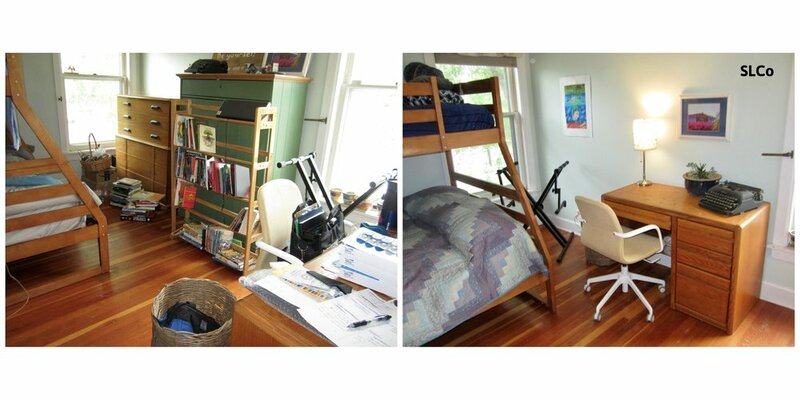 Teen Bedroom Unpack 1/3: My client's teenage son was working his after-school job so she hired me to get him unpacked and settled while he was at work. 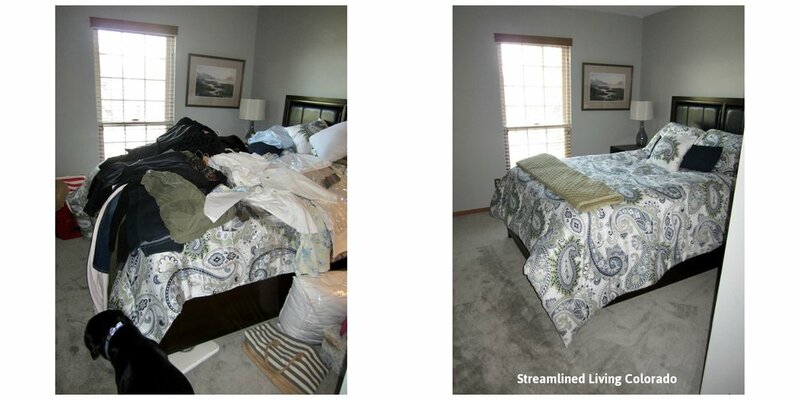 Teen Bedroom Unpack 2/3: Streamlined Living was hired to assist in unpacking and getting this family settled. Now this teenager can fully relax in his new space! 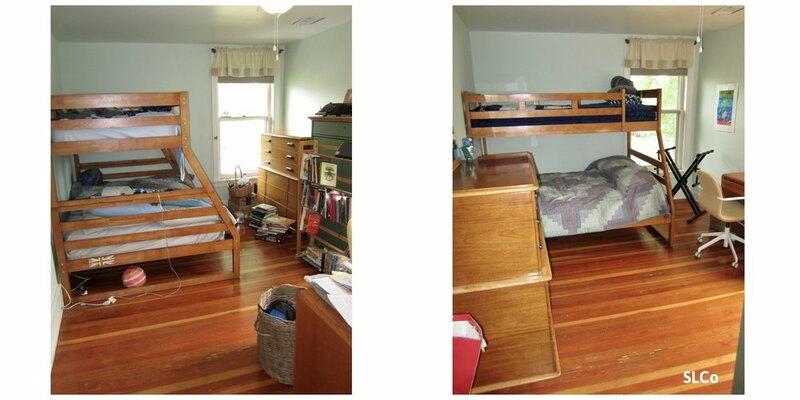 Teen Bedroom Unpack 3/3: Now this teenager won't have to worry about unpacking and getting settled! Post Move Bedroom 1/2: There was more than meets the eye for this project. The state of my client's bedroom was affecting his ability to relax after a long day of work so getting this bedroom set up was priority #1 for this post move organizing project. Post Move Bedroom 2/2: The post-it notes on the drawers are meant to be temporary until the client gets familiar with where his items are now stored. 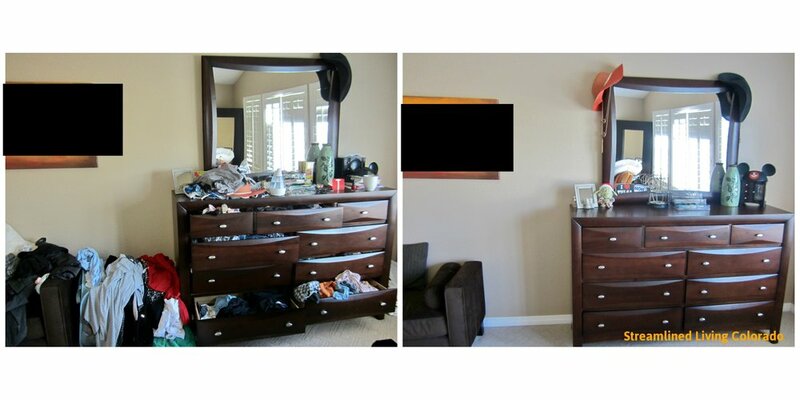 Kid's bedroom unpack 1/2: While this before/after combo may not look like a lot, it was an important job because my client hired me to help get she and her family settled into their new home the day after they moved. My client was overwhelmed at the thought of unpacking her daughter's room so she had me do it. It was a win-win because this part of the project didn't take me very long whereas, had my client done it herself, it likely would have taken her much longer. She worked on another part of the house as I unpacked and set up her daughter's room. Kid's bedroom unpack 2/2: My client's daughter came home from school to a much more organized and settled room!